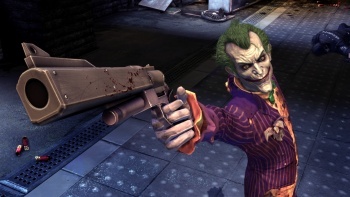 Warner Bros. Interactive won't be buying a load more developers, says senior VP Samantha Ryan. After some very rapid growth, Warner Bros. Interactive Entertainment is entering a period of consolidation, according to senior VP of production and development, and former head of Monolith Productions, Samantha Ryan. "We're actually I think going to go through kind of a settling period for a little while where we're going to focus on getting all the stuff that we've just acquired well-integrated, and really focus on the games," she said. "I don't think you're going to see a ton more acquisition, maybe a little tiny one as a complementary piece, but aside from that I'm hoping that we take it easy for a while." Over the last five years, WB has acquired a number of studios, including F.E.A.R. developer Monolith, TT Games, creators of the various LEGO games, as well as a majority share in Batman: Arkham Asylum developer Rocksteady. Ryan attributes much of Warner Bros. Interactive's growth to being in a position to take advantage of opportunities, and cites the acquisition of the majority of Midway's assets, where WB was the only company to bid on the lot, as an example. "I think Mortal Kombat looks amazing. I think that team is amazing, and I was surprised that others didn't step up, because why would you not want to own one of the best franchises in the game industry?" With such a rich stable of developers, it'll be interesting to see what comes out of Warner Bros. Interactive in the future. Obviously there's going to be a ton of licensed stuff, but it's the original ideas that I'm really interested in.